Born at Montreal, Quebec on 17 December 1862, he came to Winnipeg in 1882. By 1913, he was General Manager of Stobart Sons & Company, President of the Union Overall Company, and Director of the North Empire Fire Insurance Company and the International Guarantee Company. 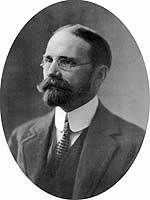 He moved to Calgary, Alberta around 1914 where he engaged in the dry goods business. On 1 January 1886, he married Sarah Woodhouse (1866-1932) at Winnipeg. They had five children: Irene Maud Bulling (b 1887), Elizabeth Macarthur Bulling (b 1888), Claude Bulling (b 1890), Georgie Bulling (b 1891), and Frank Bulling (b 1895). He was a member of the Manitoba Club and the Anglican church. He died sometime after April 1932, possibly in California. “Mrs. Bulling, formerly of Winnipeg, dies at Calgary”, Winnipeg Free Press, 13 April 1932, page 2. “Says A. C. Bulling withdrew large sums from firm”, Winnipeg Free Press, 23 September 1933, page 28.